How do I have good design when I have kids? Often parents feel that their savvy design style has to die as their family comes to life. 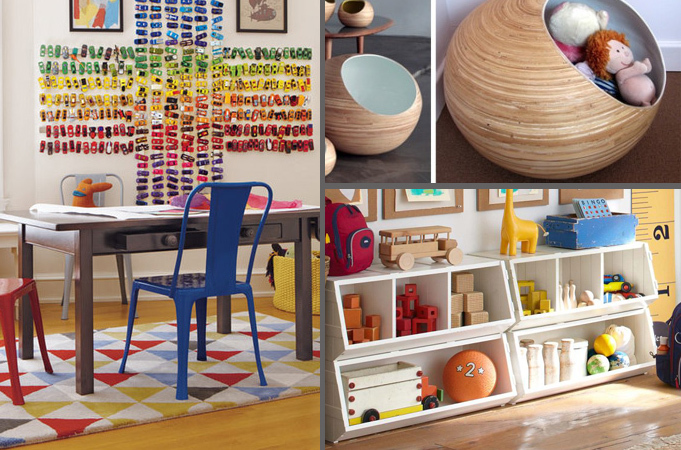 Rest assured that it is possible to enjoy your space, and make it kid friendly as well. Take it from this Mom of twin toddlers, who cannot be happy in an ugly space. Let’s start with the furniture. Believe it or not investing in a well made quality piece is the best route to go with children. Often parents are looking for “throw away” furniture that a kid can destroy. What you will end up with is furniture that looks beat up and sloppy since it is not made to withstand heavy use. 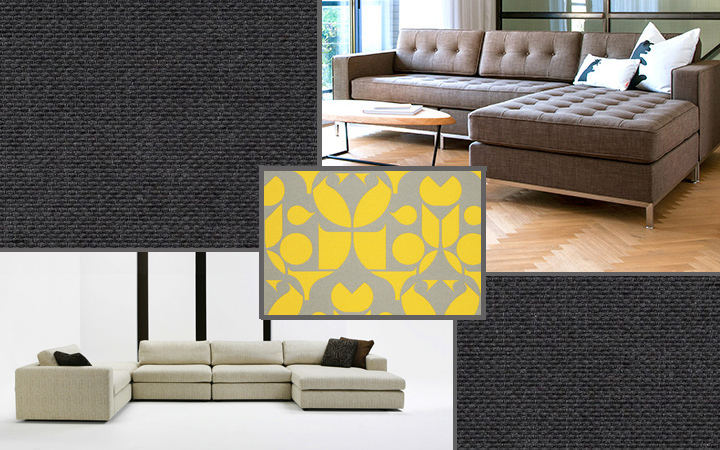 However choose a piece with a hardwood frame, high density, resilient foam, and durable fabric and your sofa has a shot at maintaining a long and beautiful life. To choose a durable fabric look for one that is high “poly” content, such as polyester, poly-acrylic, and polypropylene. Some manufacturers also offer commercial grade fabrics and will use certain outdoor fabrics on inside pieces. As your little one is learning to move, and explore the world around themselves you might run into certain temporary design blocks that are unavoidable. Those glass vases and thin floor lamps are beacons for little hands, and will be best placed out of reach for a while. In the meantime have fun with exploring new accessories. Wood, acrylics, and other durable materials can withstand slippery hands and hard floors, plus can bring a whole new life to your current space. 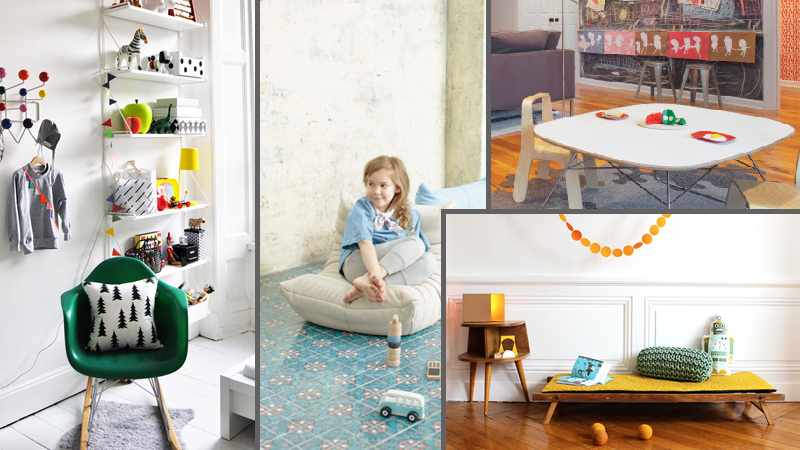 Create spaces tailored for your little ones. Low shelves and kid size furniture can create a special vignette for your little one. Combine with modern baskets or bins and you create a quick and easy way to pick up and hide their toys when company comes over. Many design classics have been reproduced in a mini version. Combine a molded Eames style chair made for your little nugget with your clean line sofa. The mini modern furniture will be playful and fun. Your toddler and small child will enjoy having a seat made just for them. 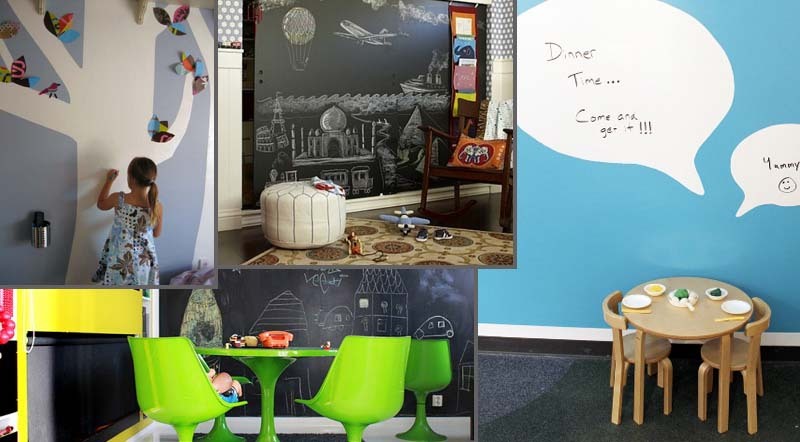 Hang artwork at their level, and even paint a special wall with chalkboard paint or whiteboard paint and let your kids have an area to express themselves. Use your creativity to let them express theirs. Both you and your child will be happy to spend time together in a space that reflects you all.